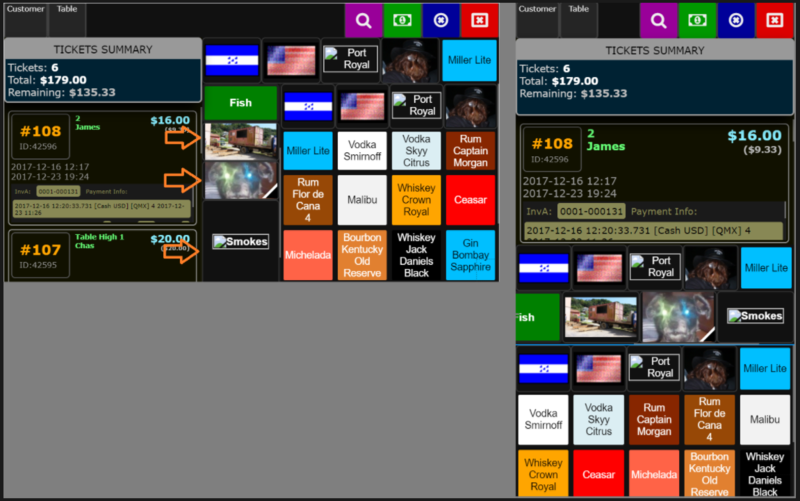 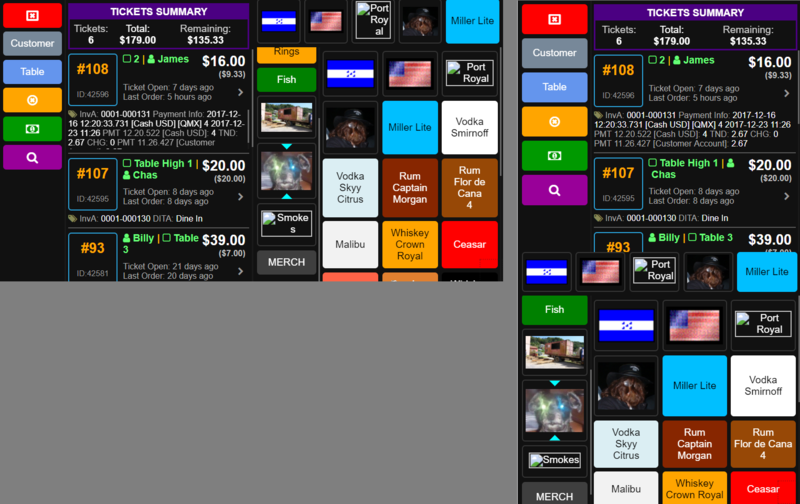 As of QMX 1.2.0, the POS modules support images for Menu Categories and Menu Items. 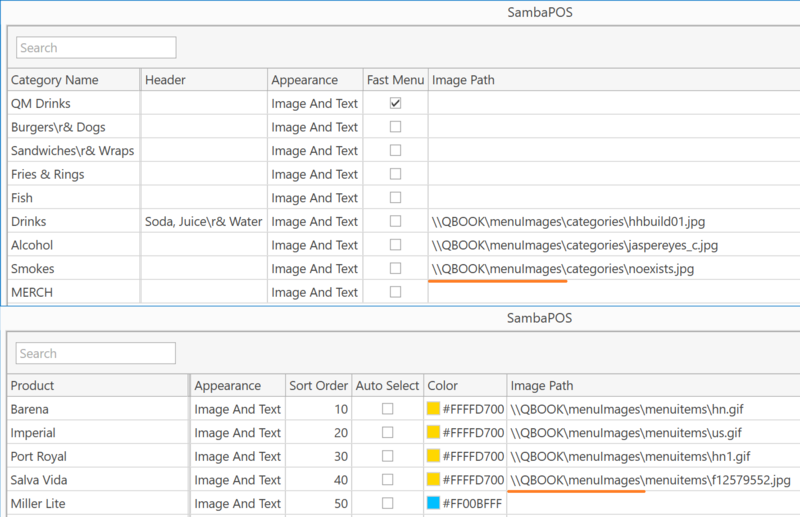 Plain text is used as a fallback if an image cannot be loaded. 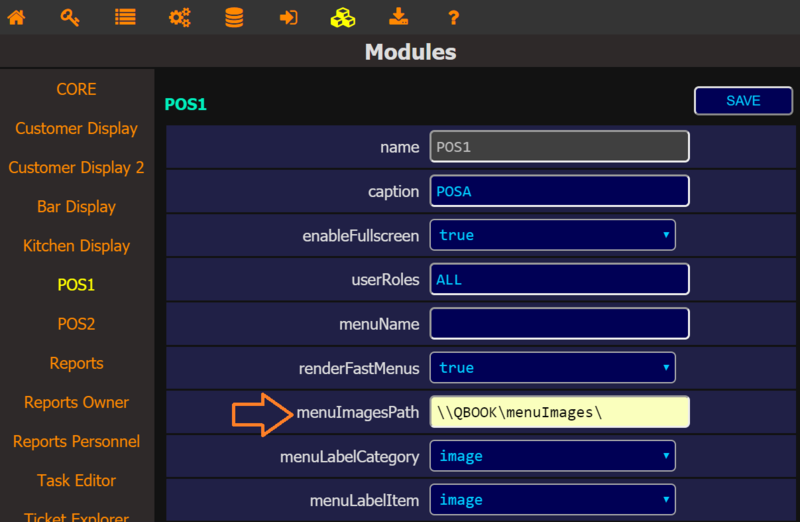 Configure menuImagesPath in QMX-Server Module Configuration for the POS Modules. 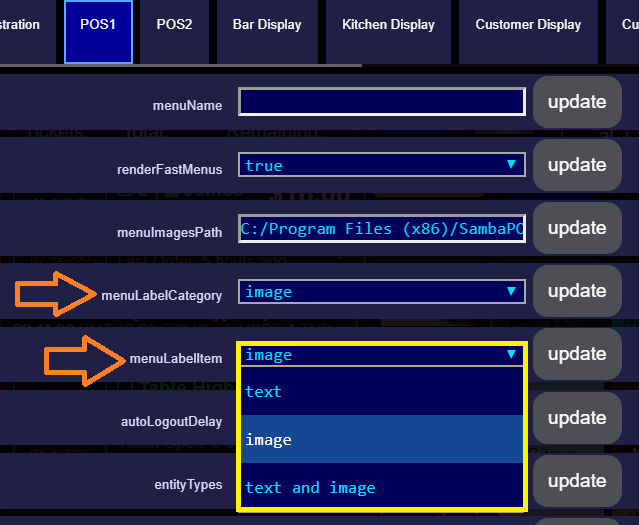 It is important to perform the above step in QMX-Server Module Configuration and click "SAVE" so the images can be properly copied and referenced in QMX Clients. 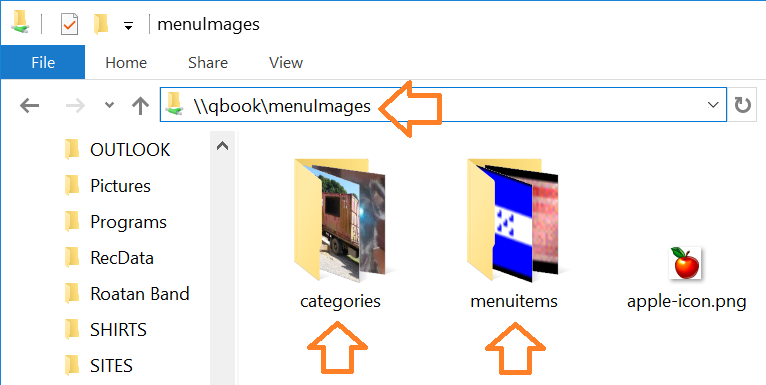 When you click SAVE in the QMX-Server Module Configuration, all folders and files will be copied from the "root" path (menuImagesPath) to C:/QMX/www/QMX/images/ so that the images will have "relative" paths in the QMX Client. 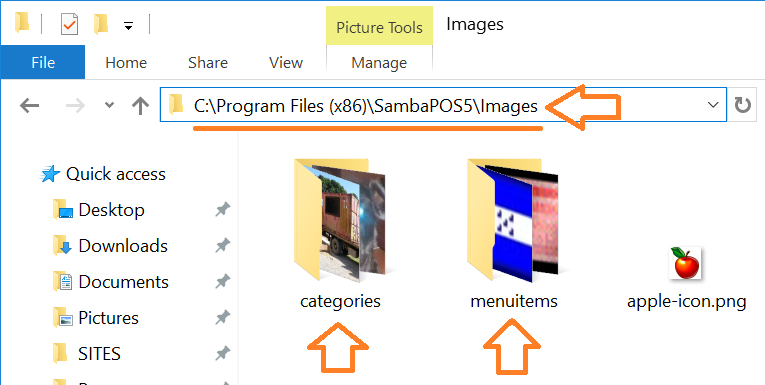 For this example, everything found in "C:\Program Files (x86)\SambaPOS5\Images\" will be copied to "C:/QMX/www/QMX/images/"
For this example, QMX Clients will then be able to load images using a "relative" path to an image, which will be something like "images/menuitems/myfantasticimage.gif"